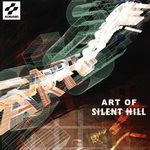 Compilation of video music from DVD Art of Silent Hill (2001) as well as Usagi from DVD Lost Memories: Art & Music of Silent Hill (2003). Tracks from Silent Hill games officially unreleased or not included into the soundtrack albums. 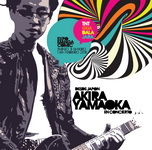 Akira Yamaoka - Theme of Laura (Trip-Hop Short) (3:44) - from Press Event Trailer. Remixed by Skeewiff, edited by DJMonster! Akira Yamaoka, Mary Elizabeth McGlynn and the White Noiz band live at the TNT EXPO 2015 in Guadalajara, Mexico (2015.01.31-02.01).